According to Fox Sports executive producer Neil Mulcahy the demand for the commercial slots is astounding, since the target market of this year’s game is New York and this game means a lot for the people there. Fox did not disclose the amount they charged for each advertisement slot, but according to buyers’ estimate, a 30-second slot would cost up to $4 million, which is $200,000 higher than CBS’s $3.8 million in last year’s game. Despite this shaky economy, the earlier sell out would mean that advertisers are still willing to invest a large amount of money in big events that guarantee a huge number of audience. Advertisers are investing in this year’s Super Bowl not just because of its New York market, but also of the countless number of people that will watch the game, especially that it will also be streamed online from other multimedia outlets. Fox Sports is about making big amount of profit. This year, the TV network has come up with a new gimmick. The network had an advertisement contest called Social Bowl. This contest lets marketing companies submit their own 30-second ad, which will be shown to the fans in social media outlets. The fans in those social media will vote for the advertisements, which is why it is called Social Bowl. This gives marketing companies a chance to win a 30-minute spot in the big game’s pre-show. Doritos also come up with a brilliant strategy for their advertisement this year. They let the fans produce their own TV commercials using the Doritos product in their contest called “Crash the Super Bowl.” This year, the competition goes global opening it to 46 other countries that sell the product. Doritos will get more publicity with this strategy. Besides that, aspiring filmmakers and rising advertisement companies will have a shot of being recognized in the upcoming big game on February 2, 2014. This year, one of the entries for Dorito’s Super Bowl ad will be starred by fire fighters from the Union Deposit Volunteer Fire Company 47 straight from Dauphin County. There were thousands of entries from different countries that submitted their advertisement for the Crash the Super Bowl competition. Consolation prizes are worth $25,000, the first runner up won $50,000 and all-expense paid to the Super Bowl, while the grand winner will get a million dollars. One of the fire fighters from the winning ad Andy Dresher said the $1 million would be used to renovate their fire station, which never got any forms of improvements since 1950s. Doritos will air on two user-made sports for this year’s Super Bowl commercials. One of the slots is from the Crash the Super Bowl competition while the other is for the Doritos marketing team. Intuit is another ad contest for this year’s Super Bowl commercials. Intuit’s Small Business Big Game was created July 31, 2013. Thousands of small businesses submit their entries to Intuit this year to have a shot to win $25 million and one hell of a promotion at the big game. From thousands, the participants will be narrowed to 20, and ultimately down to four. 8,000 employees from Intuit will be voting for these entries. 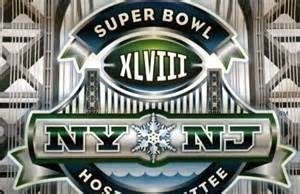 The three runner-ups will win all-expense paid trip to the big game, while the winning ad will also have a chance to have their commercial aired in the Super Bowl 2014 commercials. The companies that reached the top four spot of the contest include the innovative toy maker company from Oakland GoldieBlox, a dog food producer from Durham Barley Labs, an egg farm business Locally Laid, and dairy product company Dairy POOP. Looking at the rosters of this year’s Super Bowl, one can see that it has a record-breaking head-to-head clash between companies from the same industry, some significant changes in ad strategies, and some old timers. First brands that will go head-to-head is a Soda Stream who will be up against Coke and Pepsi, which ads will be aired on the fourth quarter of the big game. A battle of the peanut butter cups is also on the table, as Butterfinger’s new product will go head on against Reese in the second half of the game. First time Greek yogurt Super Bowl advertiser, Chobani will be battling it out with its competitor Dannon’s Oikos. Mars Chocolate is on an internal battle choosing whether to have a new M&Ms commercial or a Snickers commercial with the 30-second spot that they got for the Super Bowl 2014 ads. Anheuser-Busch InBev will switch from music video type advertisement to having a professional advertising company to create their Super Bowl commercial this year. This way, Justin Timberlake will not be the one to be promoted but Bud Light. GoDaddy will be back with Danica Patrick, but like InBev, they will have their commercial done by a professional advertising company. Doritos and Inuit will have their Super Bowl ad contest with some new twist to it. Hyundai and Kia will be back for the Super Bowl 2014 ads, with Kia is promoting their K900 sedan. Wonderful Pistachios will be back this year. In the previous years they had Korean rapper Psy, Dennis Rodman, and Kim Jong Un look alike. This year, reports are coming in that they will have ‘twerk’ superstar Miley Cyrus. After skipping last year’s Super Bowl and firing decision maker CMO Joel Ewanick, Chevrolet will be back this year. This time, Jaguar will also have its first Super Bowl commercial. Cheerios will also be back with the same professional advertisement agency that created that controversial interracial family ad.